Fireplace Inserts are designed to turn your heat-sucking fireplace into a revolutionary way to heat your home. The overall efficiency of these units allow many of our customers to turn their central heating system down and, in some cases, off completely. They not only add heat and efficiency, but incredible ambiance and beauty to the home. 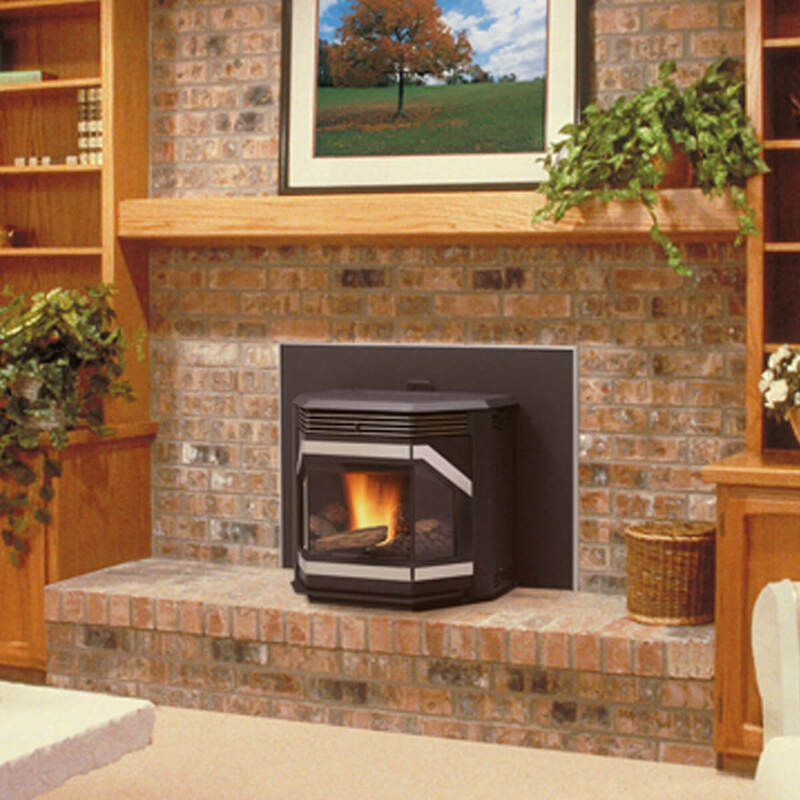 Turn your fireplace into a true Heat Machine with a pellet fireplace insert. Big Warmth, Small Fuel Cost. Like all IronStrike products, this collection was made to work harder. Our pellet inserts burn hotter using inexpensive fuel — and less of it. In fact, a single load of pellets can provide up to 40 hours of continuous warmth. Now that’s economical.